Application: FatShark Dominator V1, V2 & V3 goggles and Fatshark HD V1, V2, V3 goggles. For Attitude V3 and teleporter it needs some modification. With (2) receivers working together as (1), your video clarity & overall range is optimized as the TRUE-D Diversity system actively searches for the highest signal quality for maximum video clarity. Add an upgraded & optimized RSSI, and the V3 TRUE-D performs like never before with the very best antenna switching algorithms. Instantaneously switching between antennas for optimum signal strength, Smooth Switch technology keeps your head in the race with the very best video quality available. Stronger, easier and even more functional, we've incorporated an all new 3 button layout, allowing easy access to the entire TRUE-D menu. This allows easy access with the goggles on or off, providing an intuitive and robust interface that is simple and easy to use. Make FPV ultra simple with Easy View technology. With Easy View, you are a finger press away from every adjustment you could possibly need, displayed in an easy to ready layout - all with the ease and simplicity of our new 3 button layout. To better conserve battery power and limit thermal loading, the TRUE-D V3 can be powered on & off via the stock FatShark button interface, or via the TRUE-D system itself. This allows you to have the TRUE-D in use when you need it and powered down when you don't, saving precious battery power for FPV that matters. Offering you the ability to save (8) total channels, Working Mode makes it easy for you to choose the best channel based upon past preferences for the best known performance. Straightforward and to the point, Manual Mode gives you complete control, allowing you to select any of the (40) channels available for optimum FPV. Make life simple. With Auto Mode, the TRUE-D system does all the work for you by locking onto the video frequency being used, allowing you to simply fly without fuss or bother. Optimized with a total of (40) available channels, the TRUE-D covers all the bases, allowing you to use nearly any video transmitter available today. 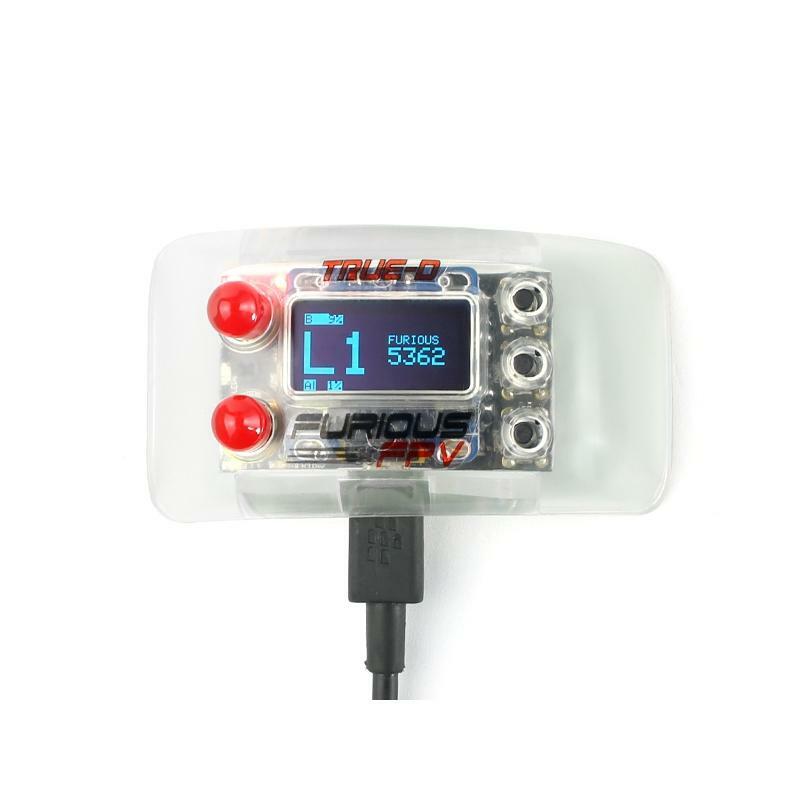 Ready to race with built in Raceband frequencies, the TRUE-D incorporates Raceband support for track ready application. Designed specifically for the FatShark Dominator V2 & V3 goggles, the TRUE-D optimizes the very best in FPV technology with the pinnacle in video clarity. Making life easy, the all new V3 TRUE-D incorporates a built in USB port, allowing firmware updates to be smooth, simple and to the point. Incorporate this with an all new easier to use updated firmware, the TRUE-D V3 is the easiest and most powerful diversity system on the market today.